Yesterday was what MelT calls a “holiday.” The name of the holiday was Thanksgiving. It’s supposed to be a day when everyone thinks about how great their life is. Everyone except for turkeys that is. They aren’t thinking about how great their lives are because their lives weren’t that great and they are dead. Dead pretty much trumps everything. I’m thankful I’m not a turkey. I’m thankful I’m not dead. 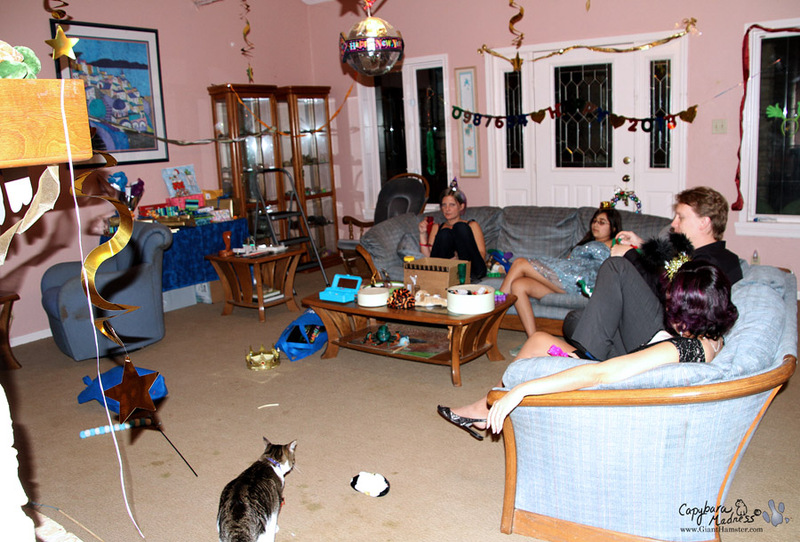 This was my first real New Year’s with my family. 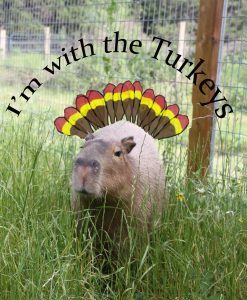 Last year it was just me and Rick because Coral and Melly were down in Panama looking for the elusive lesser capybara. But this year I got to see what it is all about. 2013 is coming and I’m facing a dilemma. 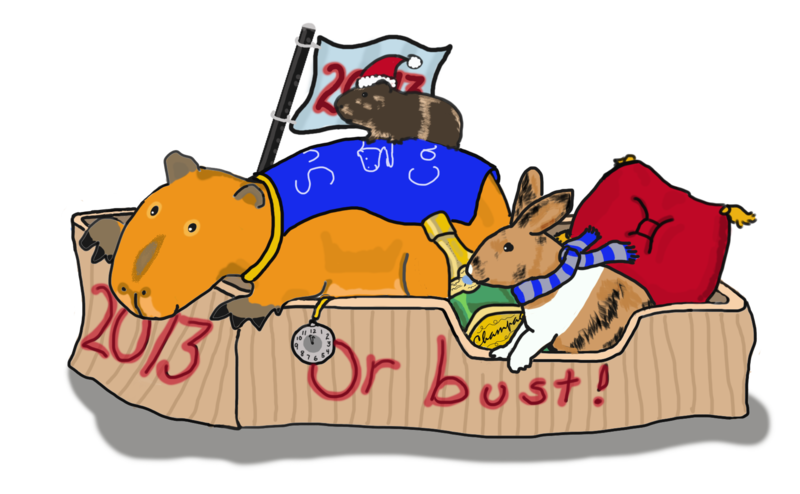 Everyone is supposed to make a New Year’s resolution that will make them a better person and/or capybara. I’m stumped. 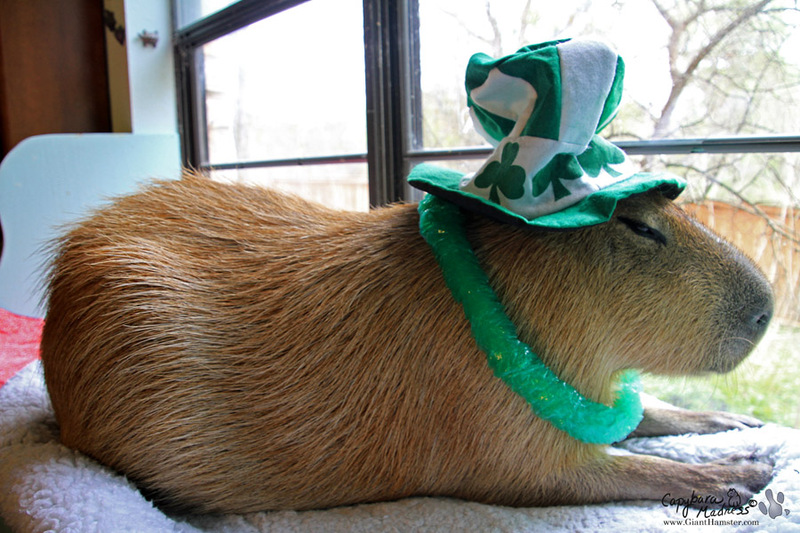 Being a capybara is pretty much perfection any way you look at it. How am I supposed to improve? I’m hoping my fans will leave comments on this post to give me some ideas. Remember it has to actually make me better and Melly says it cannot involve more biting. I debated about what to post today. It’s a hard day for me, a day when I miss Caplin Rous more than ever. This would have been a big birthday for him. Five big years old. We would have had a party in a park like we did for his second birthday. All his fans would have been wishing him another happy year. 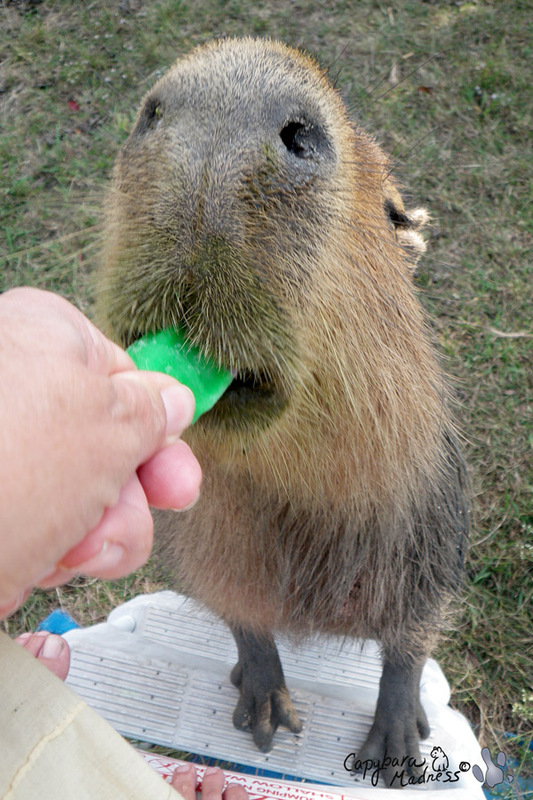 By now he would have eclipsed Capyboppy, his only contender for the World’s Most Famous Capybara title. 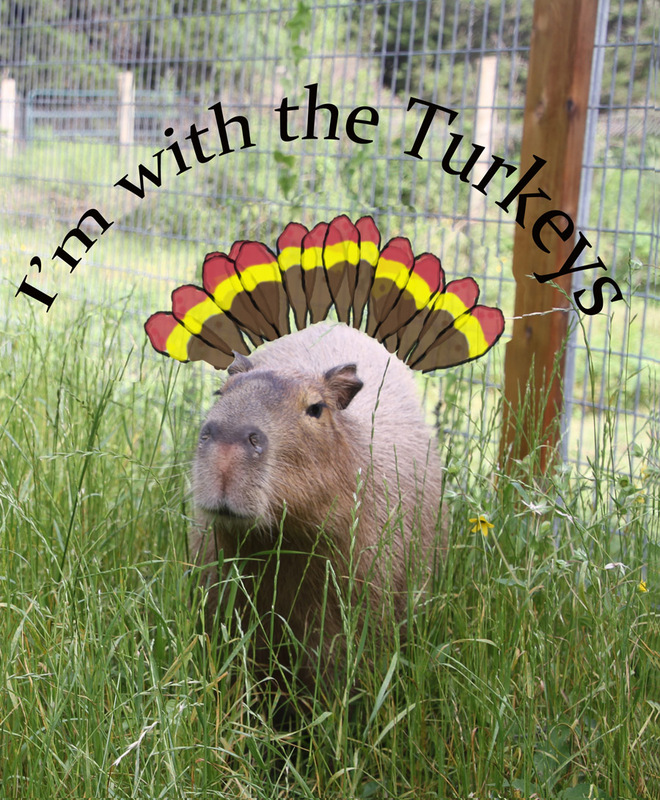 Instead I try to promote Caplin Day, aka Capybara Awareness Day, to keep his memory from dying. Anyway, I decided to do something simple, to just post two photos. The one above was taken in November 2010 and shows Caplin Rous eating a popsicle, the signature food of a Caplin Day celebration. This is the only other photo I’m posting. 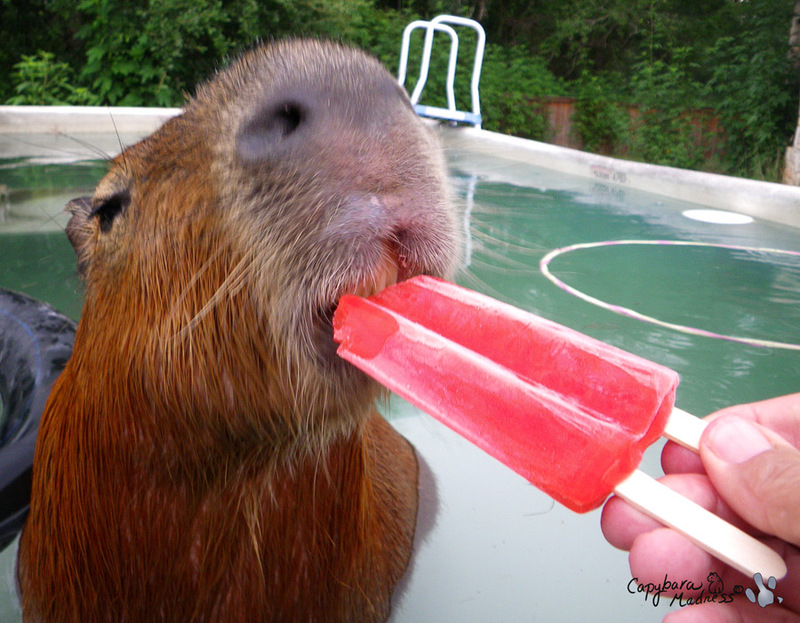 In celebration of Caplin Day, Garibaldi Rous ate his first popsicle. Don’t forget that if you’d like to buy a Caplin Rous Commemorative Necklace, today is the last day they are on sale for $15. Supplies are limited. $1 from the sale of each necklace goes to the ROUS Foundation for Capybara Veterinary Medicine, founded in Caplin’s honor.